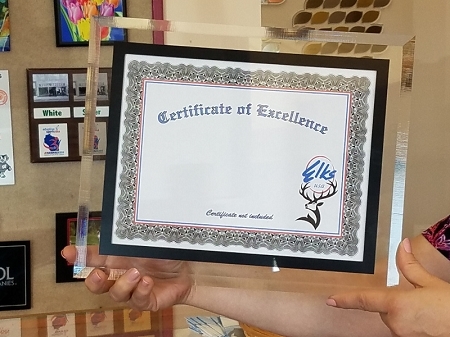 These clear acrylic plaque frames make the easy choice for your Special of the Day menus. Just add your 8 1/2" x 11" piece of paper to the slide-in back. Slide-in frames make it easy for you to change and update your 'specials' signs. They have a beveled edge with a black border for a slender sophisticated look. As low as $25! Choose horizontal or vertical alignment.